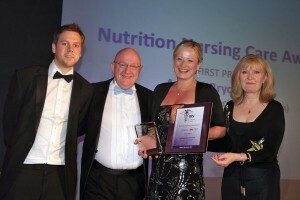 The British Journal of Nursing awards supported by the NNNG and sponsored by Medicina took place at the Prestigious Landmark Hotel in London on Friday 30th March 2012. 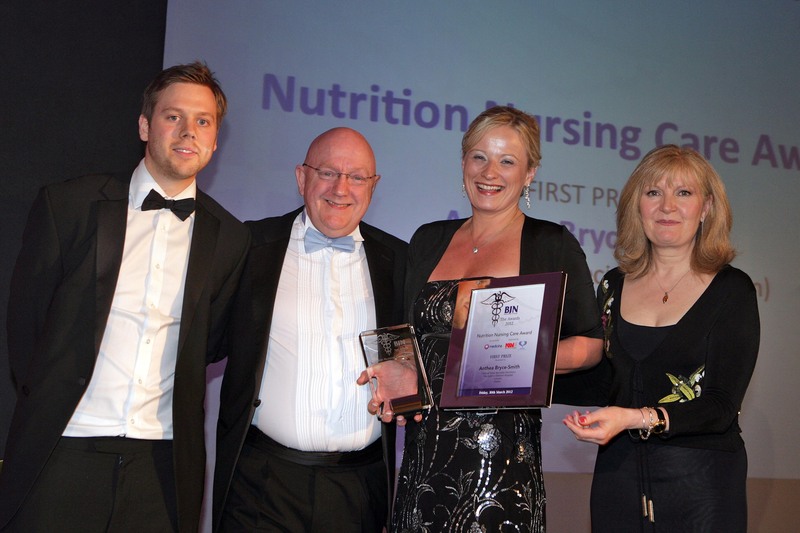 The awards judged by the committee of the NNNG and supported by the judging panel of the BJN overwhelmingly voted for Anthea Bryce-Smith to win the prestigious first prize trophy for her commitment to developing a children’s parenteral nutrition service in Ireland. Anthea’s nomination demonstrated that she had gone above and beyond the call of duty to develop a service that was robust and fully patient centred. Caroline Lecko of the NPSA and the nutrition nurse/dietetic team at The Christie Hospital in Manchester won 2nd and 3rd place respectively for their contribution to nutritional care and their focus on improving the patient experience. Announced and Presented by Stephen Rhodes National Sales Manager and Jamie Harrison, from Medicina Sponsor’s of the award for 2012. The BJN awards saw 5 times more entries across 15 categories than in 2011 demonstrating that nursing continues to deliver high quality patient focussed care. There were many worthy entrants in the nutrition category and it was a difficult task to compile a short list. 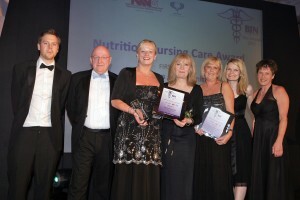 The NNNG would like to congratulate all those who entered for their passion for improving nutritional care.